When depression enters your life, it doesn’t have to be thought of as a life-long condition, or even tolerated. Depression and anxiety is reversible! 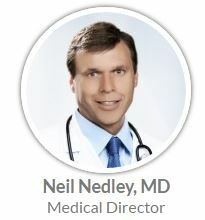 Dr. Nedley’s Depression and Anxiety Recovery Program has successfully helped many patients, through both an outpatient clinic and a 10-day residential program. Now you too can participate in this life-changing program, right in your own community! Our members are running this program in Dargaville this year - contact us for more info. ​All contact details are treated confidentially. Serious mental illnesses reduce life expectancy by 10 to 20 years, an analysis by Oxford University psychiatrists has shown – a loss of years that’s equivalent to or worse than that for heavy smoking. Learn how you can have nourishing—and flourishing—social relationships since this is vitally connected with your physical and mental/emotional health. A person suffering from depression loses on average over $10,000 a year in earned income. If they stay in depression, they and their family will be down a lifetime average amount of $300,000 (total of lost income and increased expenses) in comparison with the financial flourishing that would have occurred had their depression and anxiety been promptly reversed. The importance of emotional intelligence in determining future success is supported by an ever growing body of scientific research. At the conclusion of the program, 99% of the participants reported significant improvements in their depression with 54% reporting no depression at all. Four months after the program, participants reported additional reduction of symptoms in both depression and anxiety.